Rockinghams Best Tile And Grout Cleaners. 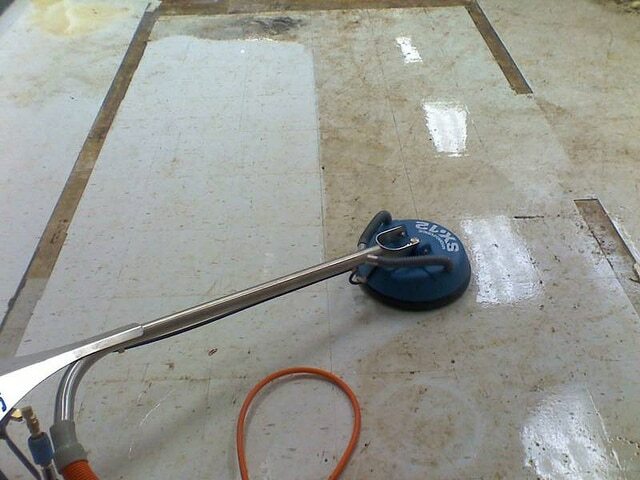 We Remove Mould And Stains From Any Surface, Including Bathroom And Kitchen Tiles. We Extend Our Services Outside With Patio and Paving Stain Removal. Tile and Grout cleaning can be a nightmare! Leave it to the Rockingham Carpet Cleaning team. Call us on 1300 495 757 for a FREE quote and we can take care of that pesky task. Dirt and grime is really hard to clean with general home methods and chemicals and after years of build up, its near impossible. That’s where we are here to save you the time and trouble and make sure your tiles are cleaned and your grout is cleared. Rockingham and the surrounding areas are built for the leisure lifestyle, to spend your weekends meeting with friends, heading to the beach and going out for coffee and food. Don’t waste your weekends using all your efforts to get your titles slightly clean. We have the professional skills, trainings, tools and techniques to get your tiles cleaned and back in tip top shape and have the best steam clean possible. We use a combination of steam cleaning and strong chemicals to make sure that you tiles are in tip top shape. The steam is one of the best ways to clean grime off titles as it helps lift them and the steam being a hot water extraction process means that your tiles are dried quickly as well. Easy, effective and of minimal inconvenience to you, is what we aim for at Rockingham Carpet Cleaning. But what about Grout? Grout is the porous mortar paste, which fills in between tiles. That’s all fine but due where tiles are placed they can get a lot of staining and damage due to moisture, dirt, grime, poor ventilation and wear and tear. Mould is probably one of the biggest issue to contend with as it embeds and grows in-between tiles and is extremely difficult to get cleared, clean and back to an original looking grout standard. But this is where Rockingham Carpet Cleaning has your back. Again with a combination of chemicals that are up to industry standard and of course safe and sustainable for the environment, steam and powerful cleaner we can get your grout great again and also dried and fresh rapidly leaving the tiles in your bathroom, or kitchen looking amazing. The powerful cleaner used for both tile and grout cleaning is a blend of high-pressure hot water and then steam powered vacuuming. We in general we blast the muck and then draw it away. The issue with moping is you end up swirling around the muck, which can further stain the tiles and grout. When Rockingham Carpet Cleaning get stuck into a job, we take the filth with us. Ensuring that you have beautiful tiles and grout that will stay that way for a lot longer. This means the wrong cleaning products were used in the past. Serious damage can be caused if the wrong products are continually used. We fix it and educate you on what will work. Mould is a frustrating part of having a house. You can’t always ventilate your bathroom and kitchens but Carpet Cleaning – Rockingham can steam blast the mould. Grout is a porous substance that one stained, is extremely hard to get rid of. Stains are a part of life and some tiles being porous are extremely hard to get clean. We can help manage the problem and steam it as close to brand new as possible.